"The Global Shamanic Healing Arts integrate our life resources and bring them into our full awareness, so that we are able to change and are available to mystical and also practical spirituality. I feel it is most urgent that people realize how much we are separated from our own beings and how far we have gone from our own truth (God). It is necessary to transform our destructive, unconscious behavior patterns into the simple joy of existence. My humble aim as a woman and a shaman is to move culture forward by the exercise of spiritual intelligence and the creative process. I believe that art and spiritual endeavors that are founded on ecstatic experience can contribute to our understanding of life. Global Shamanic Healing Arts respect our body, "Body as an important spiritual instrument." 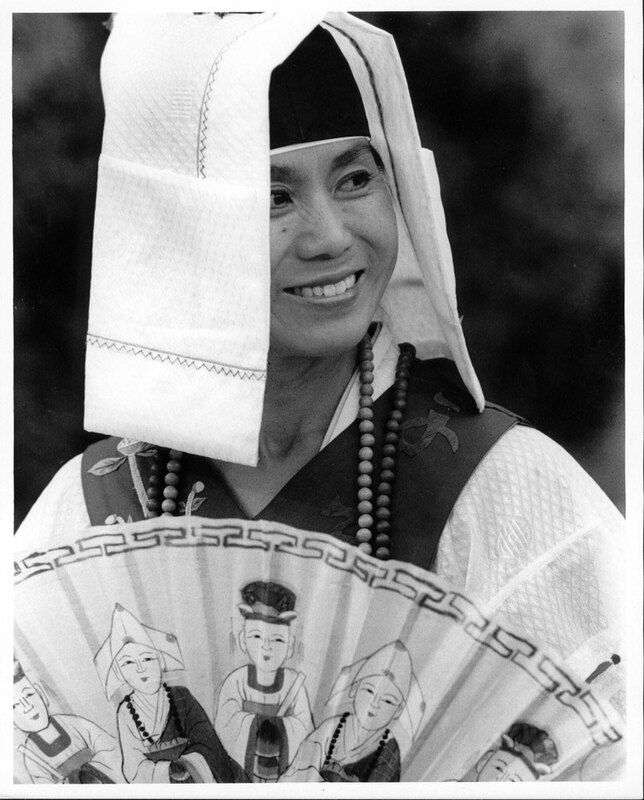 Korean Shaman practice dance as a gateway to enter our soul, and they express our true self through these sacred arts. Dance is like a dream, it speaks in the language of our unspoken vision. It also offers us an alternative medicine to link the small local self to the universal patterns, to sacrifice the old wounds which are despair, hopelessness, and old traumatic experience to which you were bonded, so that a new being may become manifest through you, and help us to be free from anger, self-pity, victimization, or martyrdom. The shaman's dance is a dance of spirit, the primordial expression. By connecting body, mind, and soul into joyous worship of a Higher Power (whom you can name as Spirit, God, Goddess, Life Energy, Almighty), then ultimately, returned to the Self. Through ecstatic, the shaman helps participants to connect with their own sense of freedom, so we can be able to generate sufficient energy to overcome our obstructions. Fear is transformed into plentiful universal love, and suddenly, life is about more than suffering; it is also about experiencing rapture. Global Shamanic Healing Arts is not only interested curing the sickness, but also in empowering our helplessness of dependency into a person who is a responsible human being to themselves and others. For that we need a medicine more than just prescribed chemical drugs. We need to encourage the people to discover the ability to create new medicine, which is ancient shaman's way. Ancient rites devoted to spiritual healing through the use of chants and dance heals by bringing people back to the center to self in the center of the universe. I, as a global shaman, demand a rigorous evocation and orchestration of the potentials of body, mind, spirit, and psyche, as well as those arts, science, and culture, if we are to be able to survive our time."